9 June 2016, the World Health Organization (WHO) declared the end of the most recent outbreak of Ebola virus disease in Liberia. This announcement comes 42 days (two 21-day incubation cycles of the virus) after the last confirmed Ebola patient in Liberia tested negative for the disease for the second time. Liberia now enters a 90-day period of heightened surveillance to ensure that any new cases are identified quickly and contained before spreading. 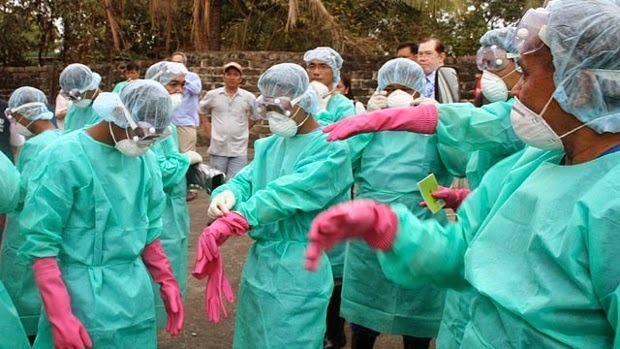 Liberia first declared the end of Ebola human-to-human transmission on 9th May 2015, but the virus has re-emerged three times in the country since then. The most recent cases were a woman who had exposure to the virus in Guinea and travelled to Monrovia in Liberia, and her two children who subsequently became infected. This date marks the fourth time since the start of the epidemic 2 years ago that Liberia has reported zero cases for at least 42 days. Sierra Leone declared the end of Ebola human-to-human transmission on 17 March 2016 and Guinea on 1 June 2016 following the last flare ups. WHO cautions that the 3 countries must remain vigilant for new infections. The risk of additional outbreaks from exposure to infected body fluids of survivors remains. WHO and partners continue to work with the Governments of Guinea, Liberia and Sierra Leone to help ensure that survivors have access to medical and psychosocial care and screening for persistent virus, as well as counselling and education to help them reintegrate into family and community life, reduce stigma and minimize the risk of Ebola virus transmission. WHO in collaboration with partners, is committed to support the Government of Liberia to strengthen the health system and improve health care delivery at all levels.